VitaFeed Nutri is a protein-rich feed that boosts honey bee health, increases brood area and increases honey production. VitaFeed Nutri is a rigorously tested, GMO-free nutritional supplement that can be used at almost any time of year to promote controlled colony growth. 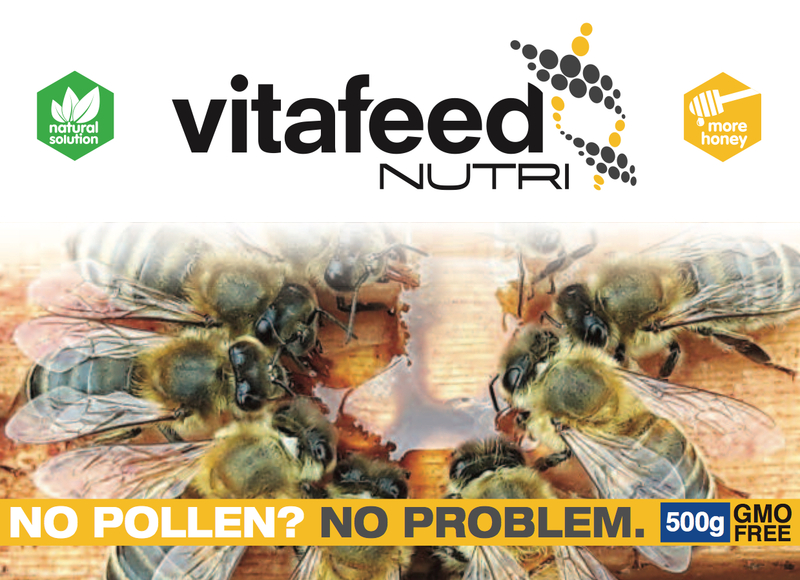 VitaFeed Nutri is scientifically formulated and packed with an optimum blend of vitamins and crude amino acids specifically developed to boost your bees. Safe and effective for use at any time of year, even during a ‘summer gap’. Rigorous trials in different countries have shown the remarkable effects of using the VitaFeed Nutri supplement. Studies show that bees increase their pollen consumption by 50% when the percentage of protein in the pollen drops from 30% to 20%. When protein content drops, bees turn to their own body reserves. This in turn reduces their lifespan, their brood-rearing capability and therefore the development of the colony. VitaFeed Nutri compensates for protein deficiencies. 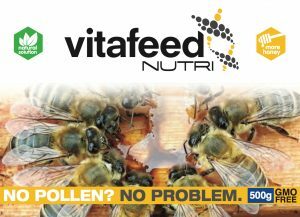 Keep colonies strong and productive by using VitaFeed Nutri during temporary summer pollen gaps. When nectar is flowing but there is a temporary lack of quality (vitamin and amino-acids) pollen, the powder should be sprinkled onto brood frames. Extensive tests have shown that application in this way does not contaminate honey. VitaFeed Nutri is now available in the UK, through E H Thorne, Heather Bell Honey and Paynes Southdown Bee Farms. Other stockists and countries will be added shortly, please contact your local supplier for further details.